Note: We’ve added a poll about what concessions should be restored first, so be sure to vote to make your opinion known. Click here to vote. 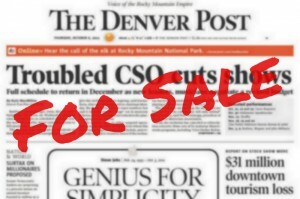 WE ARE PLEASED to inform you that The Denver Post showed a profit for the four quarters ending June 2011, so at least partial restoration of concessions will occur as stipulated by our contract. The amount available for restoration isn’t enough to restore all available items included in concessions — wages, 401(k) match, dental premium share, night differential (newsroom only) and mileage reimbursement — but the amount may be enough to fully restore wages. When we received partial restoration of concessions last year, we asked Guild members what they wanted restored first. Overwhelmingly, the response was wages. We presume the choice of wages will again be a priority. Management and union representatives are calculating the cost of each restorable item based on current staffing so we have a better idea of how to apply the monies available for restoration. The company intends to implement the restoration starting with paychecks issued Jan. 20. All remaining items are scheduled to be restored March 11, unless the new contract dictates otherwise (see below). For more information on wage scales and the economic relief clauses in the contracts: The Denver Post wage scales and contract; the DNA wage scales and contract. According to our current contract, a profit over a four-quarter period triggers restoration. The Post did show a profit for the cumulative four-quarter period ending June 2011, although the company reported a loss for the last two quarters of that period. Originally, The Post argued that restoration was not owed because employees had already received restoration based on the profit from the four quarters ending December 2010, and the company has lost money since we received partial restoration last year. They claimed it would be double-dipping from the same pool of money. In December, representatives of all unions at The Post met with management to discuss the issue. As a compromise, the unions offered to accept restoration of all remaining restorable items effective March 11, 2012 and to extend the current contracts for a year. Last week, a company representative notified the unions that they agreed restoration was owed, but rejected a one-year extension of the Guild’s contracts because they have issues with the agreements that they would like to address. We have not been informed of what issues the company is planning to address. Contract negotiations will begin this month. The current contracts expire March 10. If you would like to express your opinion on what items should be restored or have questions, please leave a comment after this post or call the Guild office at 303-595-9818. You also can post a message on the Guild’s Facebook page at facebook.com/denvernewspaperguild. While you’re here, check out the “welcome to the new Denver Newspaper Guild website” post: Come On In — The Water’s Fine. have big impacts on future income. The furlough days have ended. The contracts provided for furlough days in 2009, 2010 and 2011. No furlough days were negotiated for 2012 and beyond.